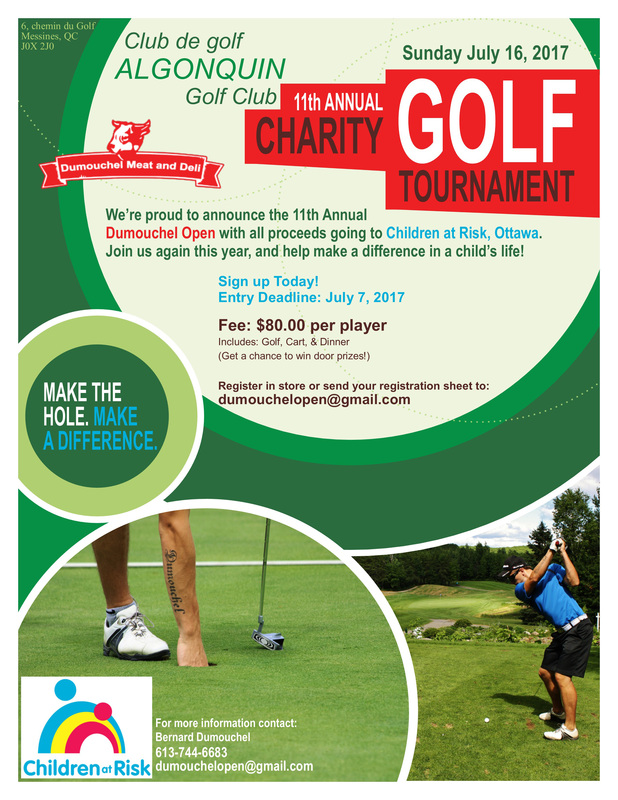 Thank you for your ongoing interest in helping us make a difference in the lives of those we help with our annual golf tournament. This year, we have the absolute pleasure of being able to give all proceeds to the Children at Risk organisation. Join us once again, and help a local organisation whose mission is to provide services and programs to families of children diagnosed within the Autism Spectrum Disorders. Remember, ALL proceeds go to Children at Risk. Know that every little bit counts! Should you have any questions about the organisation, don't hesitate to visit their website at ChildrenAtRisk.ca. Send us your questions, concerns or choices at dumouchelopen@gmail.com or visit us at our store!